Betsy is very, very good at demanding a banana to eat, having two bites, getting bored with the rest of the fruit and discarding it somewhere. I’m very, very good and leaving bananas in the fruit bowl until they turn black and then chucking them out. All very wasteful. Something must be done about this. They didn’t travel thousands of miles by boat just to be put into the green wheelie bin, no sir. If you are going to buy something that has been picked by someone who’s working a ten-hour shift for very little money, then it should be respected. 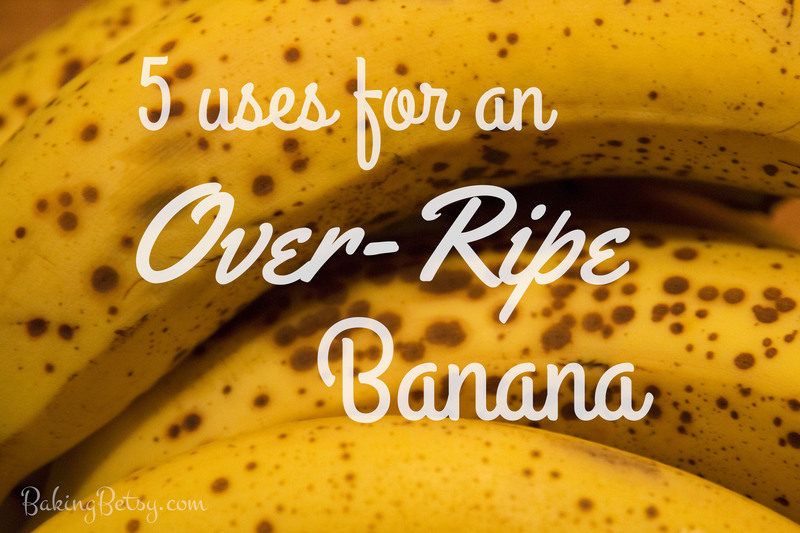 So here are five things that we can use the humble* banana for. All are super simple too, so no excuses now, Ms Wastefulpants. Nick a few coffee stirrers next time you grab a brew or cut up some straws and stick in chunks of banana, dip into chocolate, add some sprinkles and freeze. Have a bunch of bananas that needs using up? Make this cake. It’s super yummy and a great afternoon tea cake (I’ve also been known to have it for breakfast too. What? It’s got fruit in there – it’s healthy!). Recipe HERE. Bananas freeze really well as is, so if you see any lying around just chuck them into the freezer. For a super quick and creamy milkshake, blitz some frozen bananas and a splash of whole milk in a blender until frothy and smooth. It’s a bit of a staple in this household. Recipe HERE. 5. And finally, don’t forget the rinds! They’re a really good food for roses, so bury the peel around your roses and see the benefits. They are utterly brilliant in your compost heap too. I know this is only the tip of the banana iceberg – what do you do with yours? *Just a thought, 50 years ago the banana wouldn’t have been seen as humble would it? It would have been terribly exotic. But they’re sold by the millions these days and are a day-to-day fruit. Interesting.